Black Marble Returns with New Album on Ghostly, Shares "Iron Lung"
While it's been years since we've heard from synth-loving dark-pop project Black Marble, Chris Stewart is finally making his return, announcing both a new label home and full-length album. 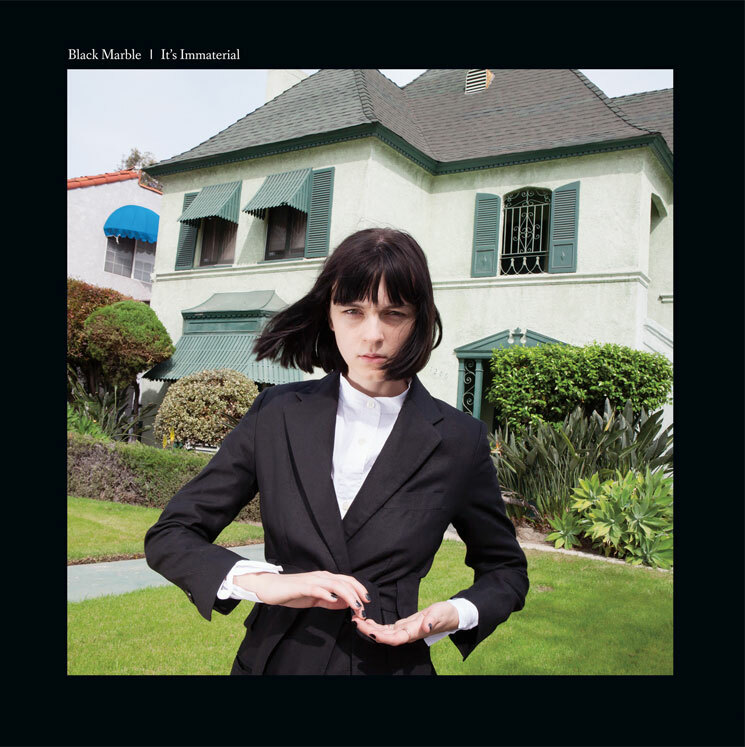 Following up on 2012's stellar but underrated A Different Arrangement album and the Weight Against the Door EP (both released via Hardly Art), Black Marble will deliver the project's long-gestating follow-up It's Immaterial on September 30 via Ghostly International. The album found Stewart moving from the East Coast to L.A. — a move that apparently had a big impact on the forthcoming record. According to a press release, "The general mood is that of creating something new, but going back in time to do it. Like attempting to flesh out a song that you woke up humming but can't find because it doesn't exist yet." It's a lot of psychic turmoil about time, place, and the dissatisfaction that comes with being young and not having control over place, or being old and not having control over time. The record is filled with characters trying to convince themselves, and others, to change or to see things differently or to come along with them somewhere. It's that moment of wanting between knowing and doing but frozen in time. For a taste of It's Immaterial, you can listen to its "Iron Lung" below, where you'll also find the album's tracklist.